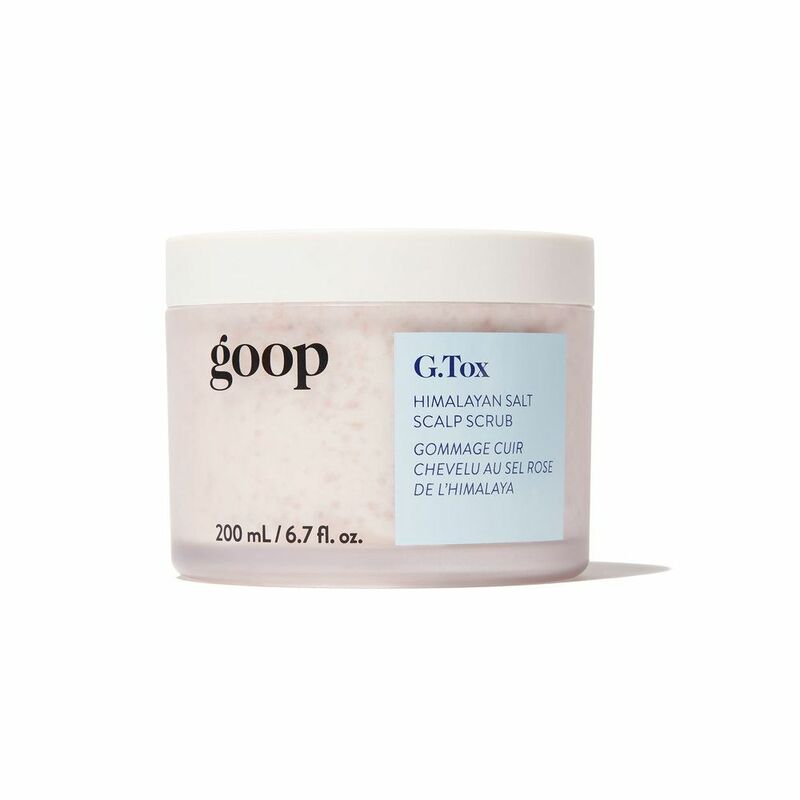 There’s a lot that feels counterintuitive about shampooing your hair with a chunky scrub. To start, the heavy oils used in some formulas seem as if they’d leave any texture a greasy mess — and we haven’t even mentioned how odd it is to massage big ol’ salty granules into your scalp. 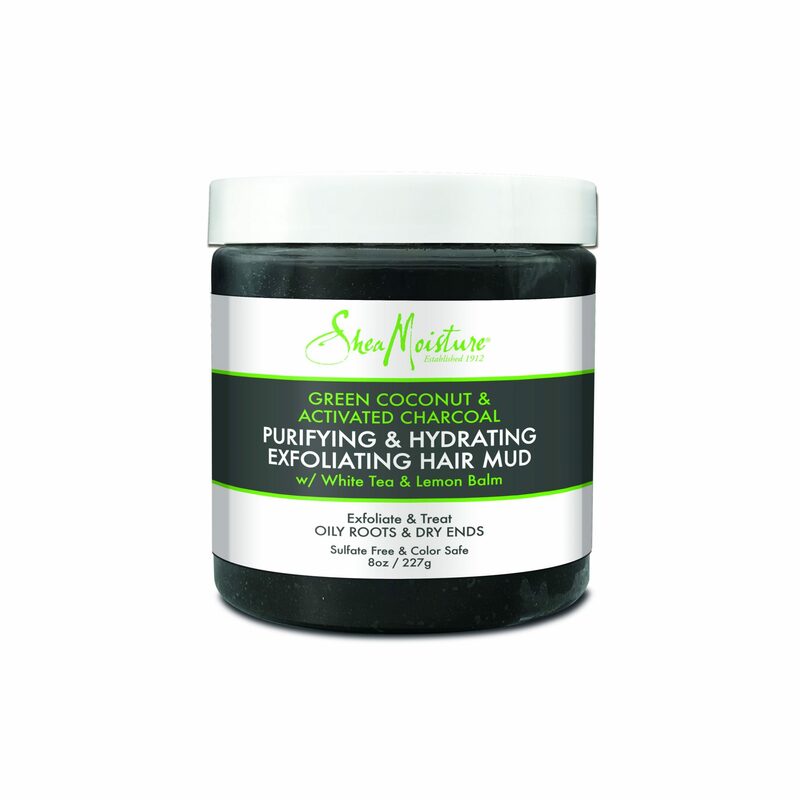 But stick with us here, because when properly formulated, hair scrubs actually do and feel quite the opposite. For one, chunks of salt or sugar quickly disintegrate with a rinse of warm water (rather than getting wedged between stands or feeling overly gritty). And thanks to some smart concocting, oil-based options work to hydrate ends without leaving hair looking like an oil slick. Impressive, yes, but here’s what really sold us: After trying a handful of options, we found these exfoliating shampoos work wonders to lift hair at the roots and add overall body without making hair feel squeaky clean. Because some formulas can be drying, Yuen suggests those with medium and thick hair look for ingredients like coconut oil, while stylist Michael Dueñas advises those with C3 and C4 curls limit scrubs to just the scalp. See a few of our favorites, ahead. 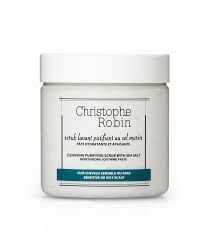 Most shampoo scrubs rely on the abrasion of sugar or salt to deeply cleanse, but this one taps activated charcoal and diamond powder instead. The resulting gel-like formula is much easier to apply than chunkier formulations and works into a satisfying lather like traditional shampoo. But our favorite takeaway came two days after a wash, when a grease-free scalp allowed us to skip our normal dousing with dry shampoo. We wondered if this fine-grit formula was even working when it didn’t lather like a traditional shampoo, but it ended up pulling off the coolest trick. Though billed as a pre-shampoo treatment, it managed to simultaneously deep clean the scalp and somehow leave ends conditioned when used alone, negating the need for a separate conditioner. Stylist Christophe Robin invented the scrub shampoo category with this OG release. 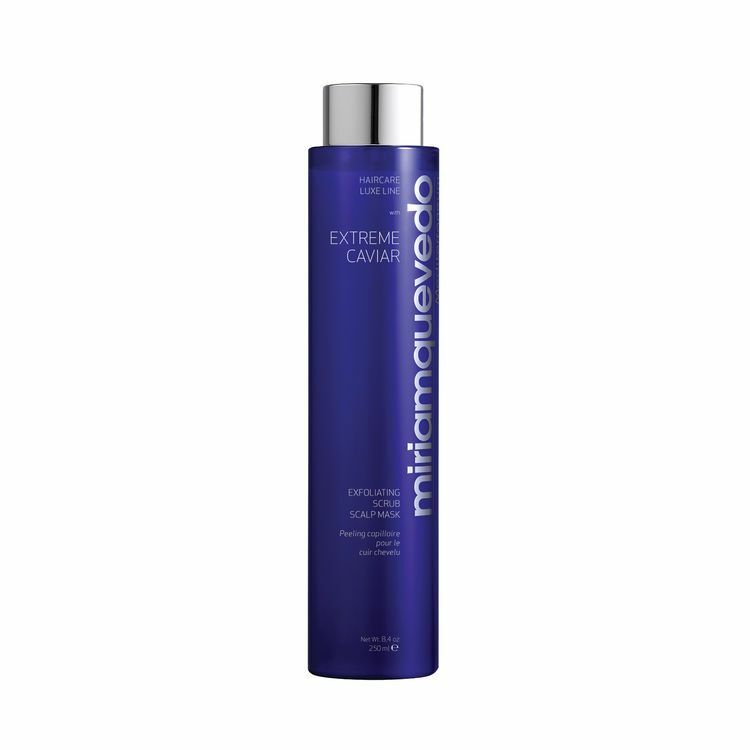 Designed to take down itchiness for those with a sensitive scalp and lift residue product after coloring hair, it combines the moisturizing agents of a conditioner and gentle exfoliating power of sea salt. We weren’t sure how this thick paste would work in a shampooing scenario, but after warming it up in our hands, it lathered on our scalp just fine. The charcoal and coconut oil-charged formula got our roots squeaky clean while lengths and ends combed through easily post-shower. This creamy shampoo treatment taps pink salt, rose hips oil, and moringa oil to cleanse the hair and scalp of product buildup. It not only gave us pumped-up volume at the root, but the peppermint, spearmint, and rosemary leaf essential oils enlivened our senses during a painfully early AM shower. 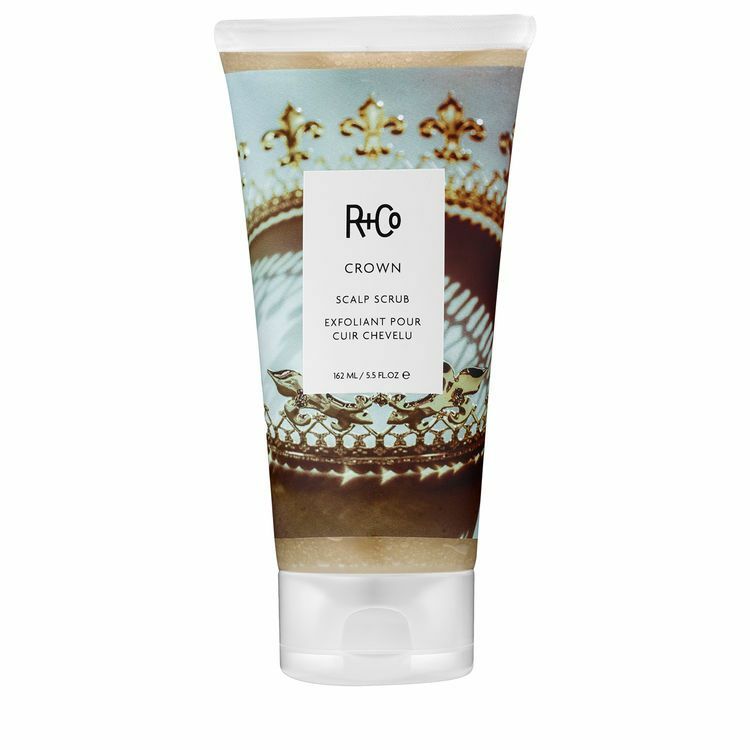 This lightly lathering scrub shampoo includes exfoliating salicylic acid and oil-absorbing kaolin clay to do the detox thing. But it also packs hydrating emollients to keep hair from looking like straw. 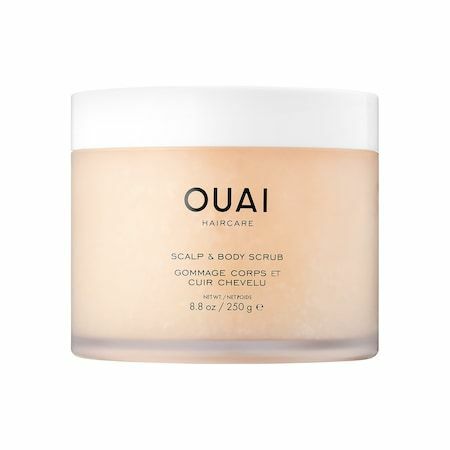 Ouai devotees know founder Jen Atkin does not mess around when it comes to scenting her products — and this scalp and body scrub is no different. We could have sworn someone dropped off a delivery of fragrant white flowers while we were in the stall, but vacay vibes aside, the head-to-toe cleanser delivered noticeable lift to at our roots.